To access our products, click on the product links to your left. "A thing of beauty is a joy for ever: Its loveliness increases; it will never pass into nothingness; but still will keep. A bower quiet for us, and a sleep full of sweet dreams, and health, and quiet breathing." It is unlikely that the poet John Keats had in mind a hand-knit alpaca hat or a pair of slippers lined with alpaca fur when he wrote these lines in the 19th century, but there is something to be said for the power of a quality, well crafted garment to feel good about! Alpaca was however mentioned in the movie classic "A Street Car Named Desire". 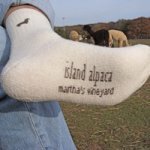 Welcome to the Island Alpaca Online Store! We welcome you to shop at our farm, (open most days, year-round) and on our online store. 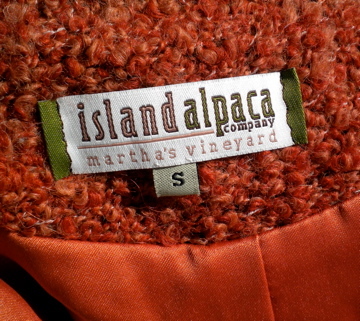 Enjoy the collection of quality alpaca products both on Island and online. 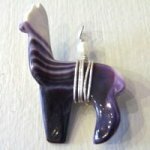 Please visit us often, as we are constantly adding new items to the storefront. FREE shipping on all orders over $100. MasterCard, Visa, Discover and American Express accepted. "I just received the little alpaca fur teddy bear that I ordered for my daughter and I had to tell you that I am THRILLED with it!! It is absolutely perfect and I know she will fall in love with it on Christmas morning! Thank you so much!! Also, I am very impressed by how quickly I received my order! Thank you for everything. 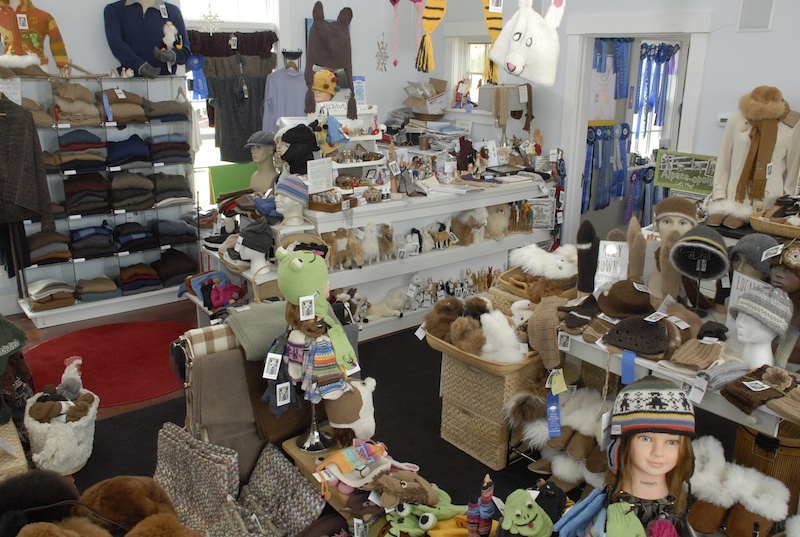 Sincerely, Francie K."
Island Alpaca Farm Store offer a large variety of quality alpaca-related products, luxurious garments, and fabulous, locally grown yarns. We are confident that you will find that these alpaca products will exceed every expectation of a luxury fabric; soft and silky, yet warm and lightweight. Like a fine heirloom, your alpaca product is likely to provide you with years of satisfaction. If you have any questions, please do not hesitate to contact us. We are very happy to assist. For shipping info, etc, please visit our customer service link. We are excited that you can visit our store, not only online, but here on island, to share the alpaca experience with us! Soft as cashmere and warmer, lighter and stronger than wool, Alpaca fiber comes in more colors than any other fiber producing animal, in 22 colors that are recognized by the textile industry, with many blends in addition to that. Alpacas are shorn in the spring for their wonderful fleece, which produces an average yield of 4 to 5 pounds of fiber that is turned into the most luxurious garments in the world. This cashmere-like fleece, once reserved for Incan royalty, is now enjoyed by spinners and weavers around the world, and simply alpaca fiber enthusiast like ourselves! Softness and visual texture - The fiber, soft to the touch, and with excellent appearance and natural luster, gives garments unsurpassed drape, elegance and style together with an outstanding handle. Thermal insulation and moisture-absorbing properties - The fiber is a thermal insulator and absorbs ambient humidity, thus affording greater protection and comfort in a variety of climates. The alpaca hair follicle has air pockets, which add to the insulation property of the animal, and for the end user of the alpaca fiber garment. It is understood that it is many times warmer than wool. Non-flammability - The fiber will not burn unless it is in direct contact with a flame and therefore affords the wearer greater safety. Strength and elasticity - High tensile strength and elasticity make the fiber particularly durable. Durability - The fiber has a reduced tendency to pill/felt and garments made from it thus maintain their new appearance and do not lose their shape. Now it is time for you to enjoy this incredible fiber, and carry the exchange between the ancestral Incan culture and the modern world. *Hay-saver grids, and spinning wheels do not qualify for free shipping.